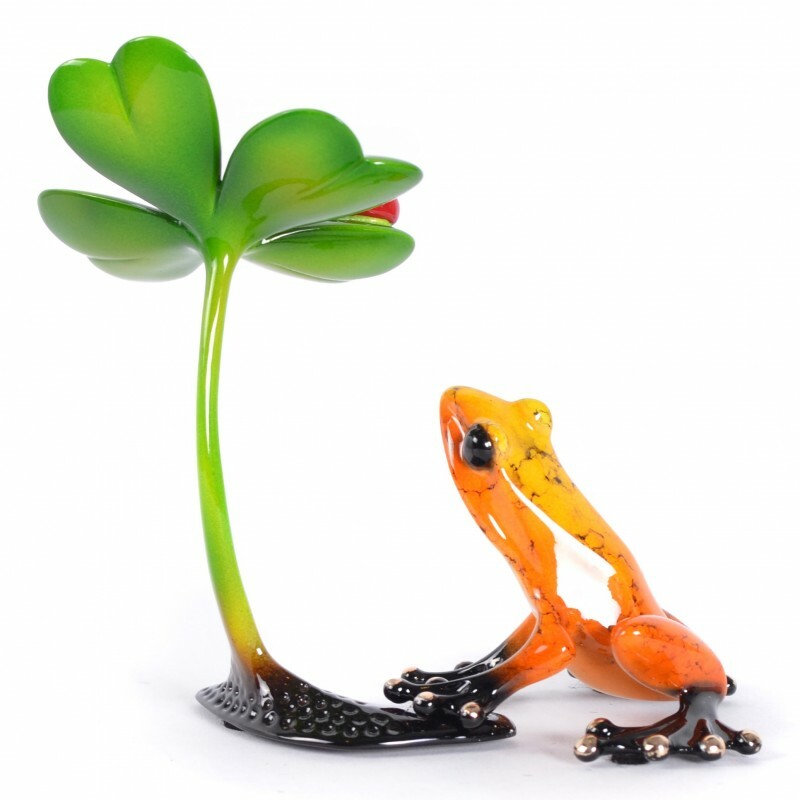 Beginner's Luck by Tim Cotterill Frogman. 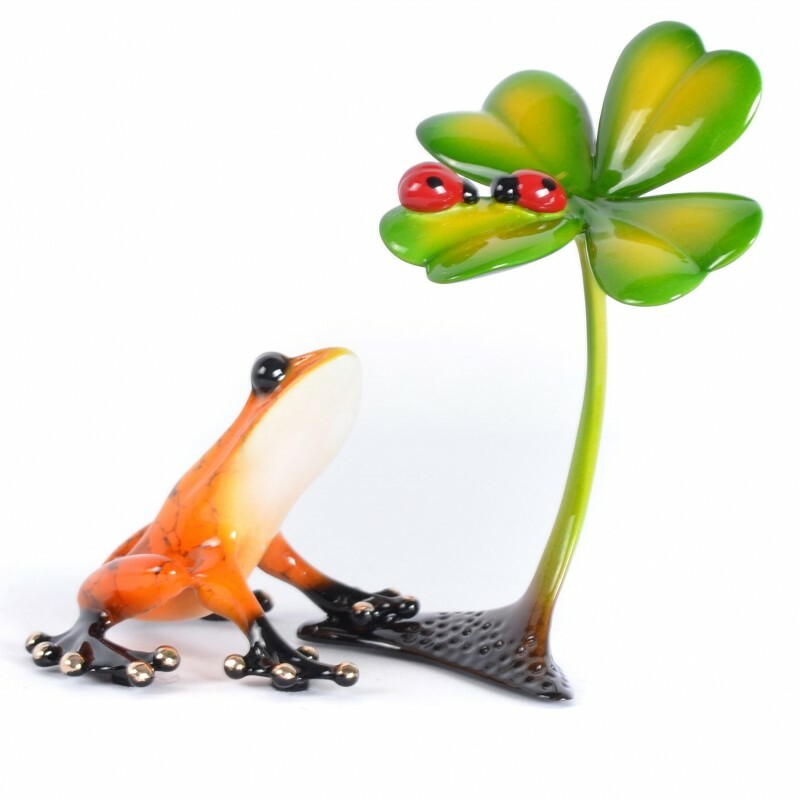 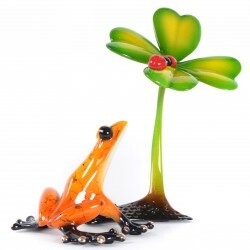 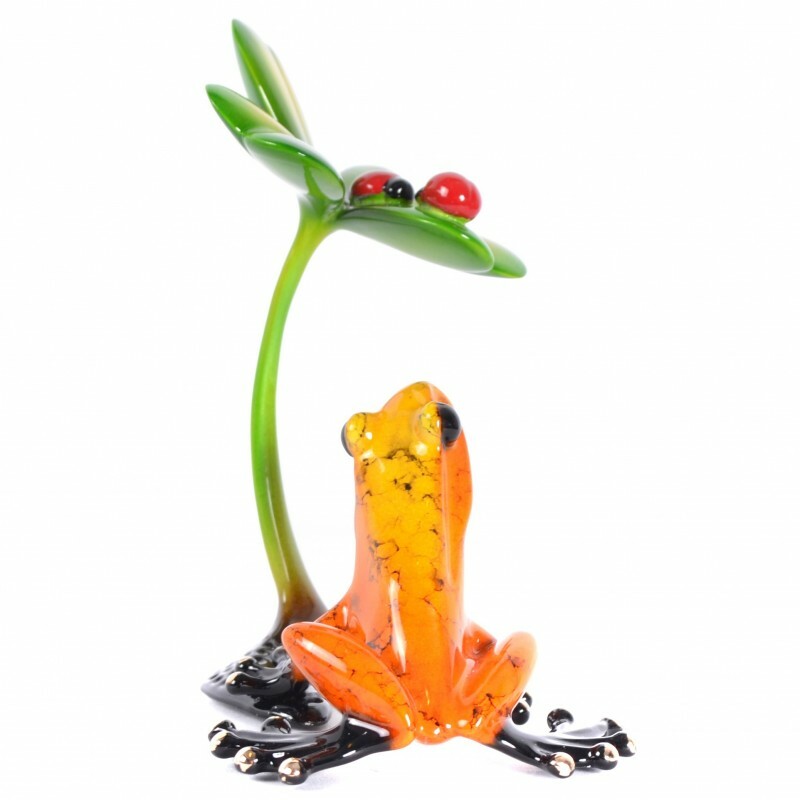 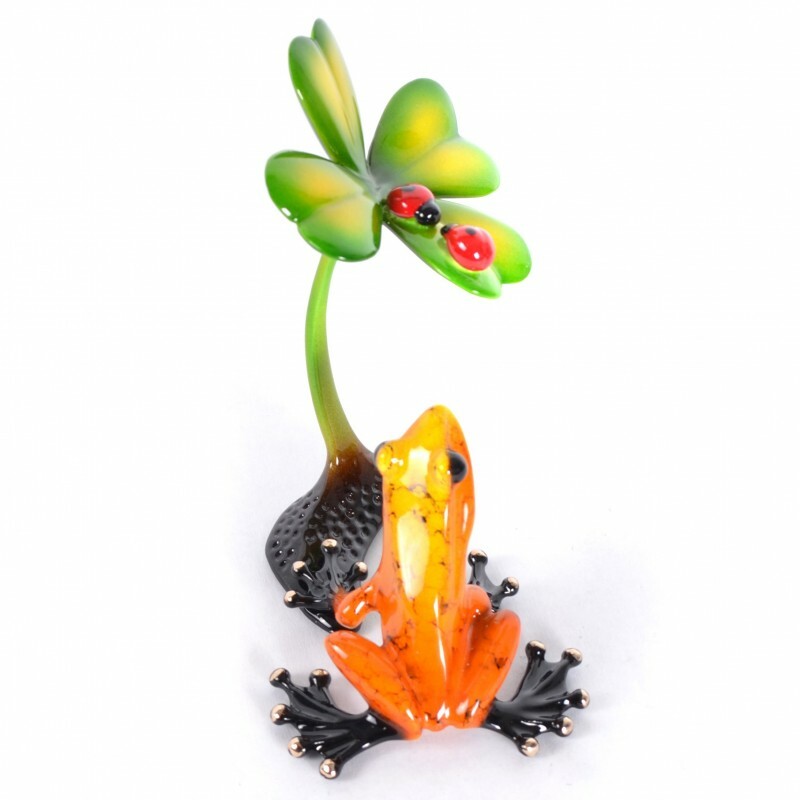 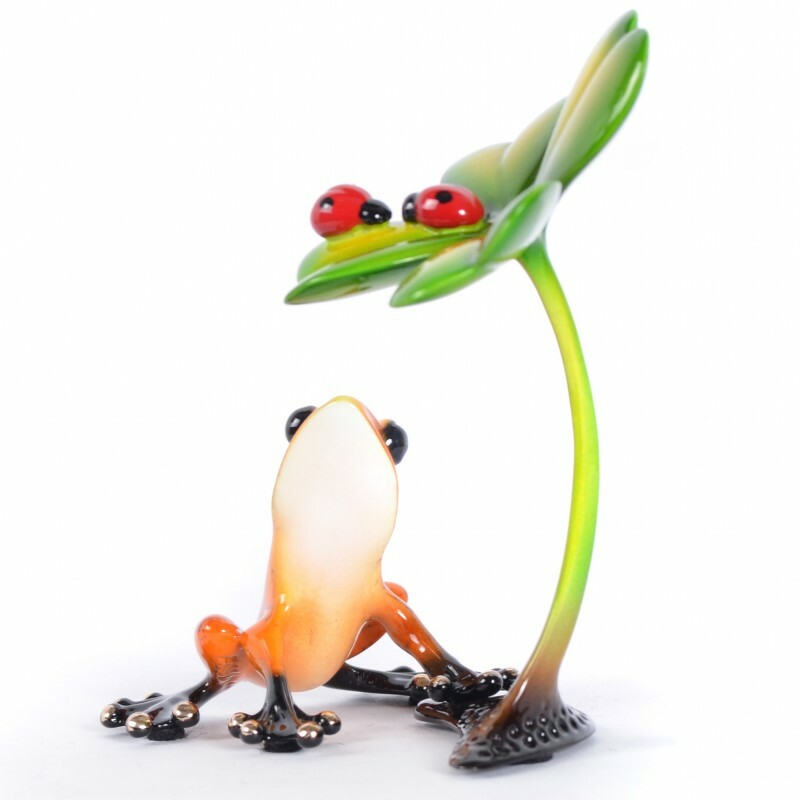 A charming, multi-toned frog gazes hopefully at a pair of vivid red ladybugs perched atop a lime green four-leaf clover. Surely, the legendary shamrock will bring good fortune to Tim Cotterill's playful, Beginner's Luck.